A Corner of the North Elevation showing the position of the lead heads. “A Royal manor in Saxon times Condover, throughout the sixteenth century, was in and out of the hands of the Crown until, in 1586, Elizabeth made a grant to Thomas Owen” (p. 161). 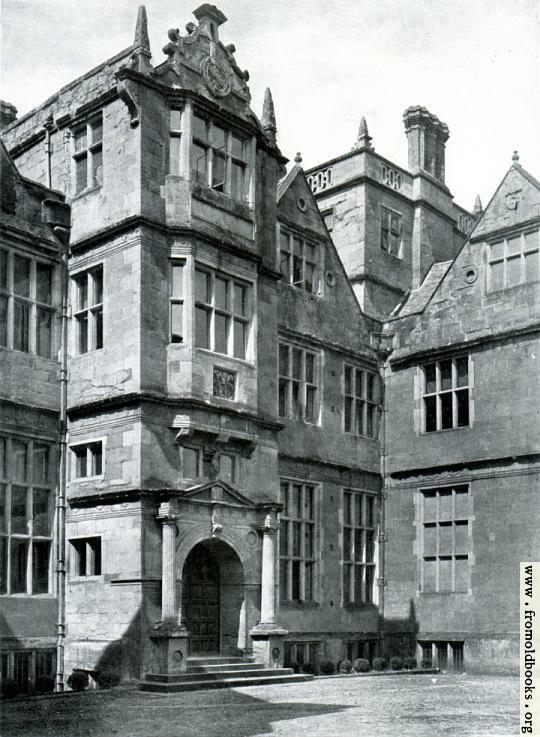 Condover Hall is now a School for blind children and conference centre. See the Shropshire Star for a short history of the area.